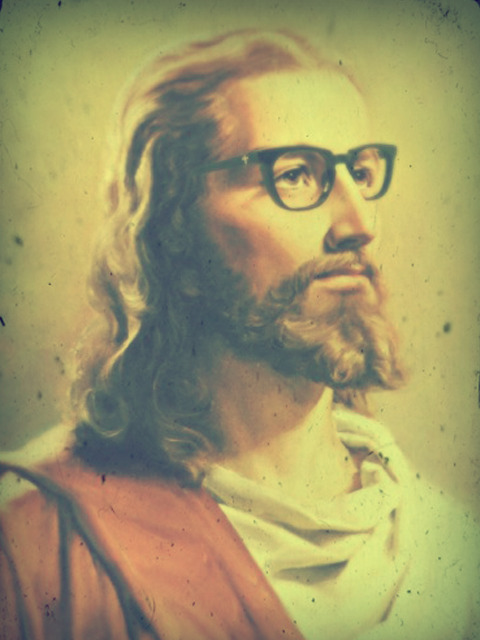 If one of the hallmarks of a good Hipster is being "ironic," then perhaps Jesus was the original Hipster. Christy Wampole, of Princeton University, says that irony is the ethos of our age, and that Hipsters are the archetype of ironic living. Irony, in part, is when the surface meaning and the underlying meaning of what is said are not the same. So a 25 year old Hipster wearing a "I ♥ Justin Bieber" shirt is being ironic because, well, there's a solid chance that he/she doesn't ACTUALLY love the Biebs. The surface meaning says, "this is true!" but the underlying meaning is more of a "wink-wink... not really... but ain't it cool?!" So then, how was Jesus a Hipster? Jesus was about the business of announcing the Kingdom of God had come. His life and ministry and teachings all pointed to this reality. God's Kingdom had arrived, and it is time to orient yourself around it. But here's the deal: Jesus' t-shirt that said, "The Kingdom of God is Near" amounted to the same thing as "I ♥ Justin Beiber." Because God's "Kingdom" isn't really a kingdom. "The time has come," Jesus said, with a twinkle in his eye. "The "Kingdom" of God has come near," he announced, while placing air quotes around the word "Kingdom." Kingdoms are about ruling people. God's "Kingdom" is about serving people. Kingdoms are about hierarchy. God's "Kingdom" is about equality. Kingdoms are about dominance. God's "Kingdom" is about openness. Kingdoms are about control. God's "Kingdom" is about freedom. Kingdoms are, ultimately, about power. God's "Kingdom" is about weakness. You see, the kingdom of God is not like the Kingdoms of this world. In any way, really. This is why I won't be surprised, once I finally kick the bucket, to find Jesus chilling outside the entrance of the Pearly Gates, sipping on a PBR and offering me a swig. What Was So Scary About Jesus?